Despite healthy traffic growth of 16.6% and further strengthening of the ruble, Aeroflot Group reported a 48.7% decline in EBITDA to 15.403 billion rubles ($262.7 million) for the first half of this year. 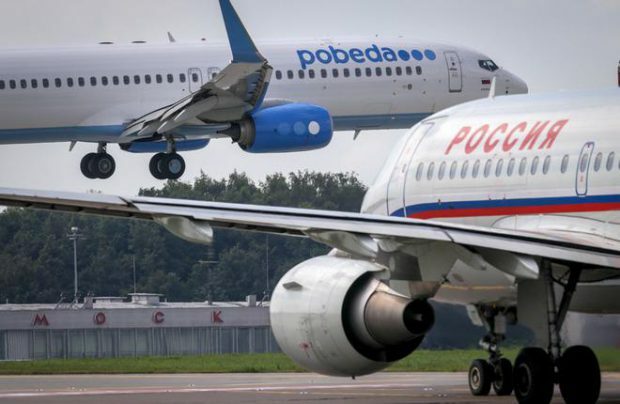 The group, which includes Russia’s flag carrier Aeroflot and sister carriers Rossiya Airlines, Pobeda Airlines, and Aurora Airlines, explains that its financial performance was affected by a 10% hike in fuel costs. It fuel expenses grew 25.5% over the period to 56.217 billion rubles. This disproportionate increase is due to the fact that the group’s total fleet grew by 36 airliners in the first half of 2017 (up 16.9% year-on-year), and stood at 298 aircraft as of late June. This fleet expansion additionally caused a 8.1% increase in the group’s operating lease expenses to 30.654 billion rubles, as well as an increase in the aicraft handling and passenger servicing cots (+14.6%, to 45.961 billion rubles). At the same time, increased capacities boosted revenues. Passenger services generated 200.799 million, up 6.67% year-on-year. Aeroflot Group reported a 4.9% increase in total revenue to 234.860 billion rubles. The role of the strengthening ruble was not entirely positive. On the one hand, it resulted in lower expenses in hard currencies. For example, the group’s aircraft maintenance expenses dropped 10.5% to 15.682 billion rubles. On the other hand, revenues from international operations reduced proportionately. Aeroflot Group’s net profit for the first half of the year increased 17.1% to 2.890 billion rubles due mainly to a decrease in debt leverage.